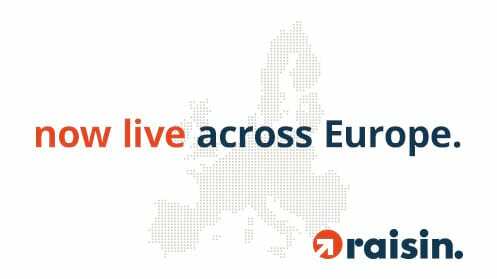 Berlin, April 6th 2016 – Raisin has today launched the first-ever pan-European marketplace for savings. The European-wide launch follows Raisin’s successful 2013 debut in Germany where it operates under the name WeltSparen. In a little over two years, Raisin’s 35,000 customers have already deposited one billion Euros on its platform. Raisin offers customers hassle-free access to savings products across Europe, allowing them to deposit money in accounts with higher interest rates than those available in their home country. “Europeans have more than €10 trillion in savings, often locked away in low interest savings accounts. Raisin allows them to increase the interest they earn by as much as four-fold under guarantee schemes that are harmonized EU-wide,” commented CEO and co-founder of Raisin Dr. Tamaz Georgadze. With this launch, the Berlin-based company is establishing the first true European marketplace for deposits. The platform has a simple onboarding process that can be completed entirely online. To provide this convenient solution to savers across Europe Raisin is partnering with Keytrade Bank – the leading direct bank in Belgium – which provides the Raisin Transaction Account. “At Keytrade Bank we have always embraced innovation and are happy to partner up with a promising Fintech company.” says Thierry Ternier – CEO of the bank. Through a single-user interface customers can manage their savings online – at no cost. “It’s an easy, fair, and convenient way for our customers to manage their savings and raise their interest,” said Katharina Lüth, Head of Europe at Raisin. The Raisin team consists of an international group of consultants, banking experts, product specialists and developers with over 100 years’ working experience with leading banks and service providers in Germany, Switzerland, Eastern Europe, and Asia. The company is backed among others by Index Ventures, Palo Alto-based Ribbit Capital, as well as Tom Stafford and Yuri Milner of DST.